As demand for IoT devices increases, the issue of network security has become increasingly important, with more businesses and regular households moving everyday tasks and processes to the network and into the cloud. Securing the network can seem like an unmanageable task for even the most skilled IT professionals. To help secure your network, NNT recommends these three tips to ensure networks, IT systems, and confidential data remain safe from a potential attack. The first step in securing a network is to harden the device, where you identify and then eliminate or mitigate all known security vulnerabilities. 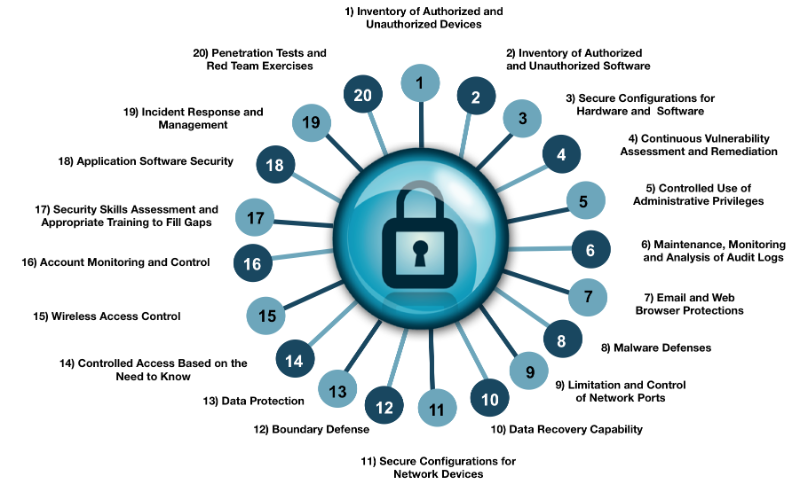 Using authoritative CIS hardening checklists from the Center for Internet Security, the industry’s leading authority on secure configuration guidance, you will be provided with a detailed description, rationale and testing direction for auditing and compliance. 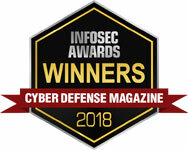 NNT is one of a handful of CIS Certified Vendors and has been awarded CIS Security Software Certification for CIS Security Benchmarks across all Linux and Windows platforms, UNIX and Database Systems, Applications and Web Servers. NNT provides a full range of CIS Benchmark reports that can be used to audit enterprise networks and then monitor continuously for any drift from your hardened build-standard to ensure systems stay within compliance 24/7. What are the most critical areas we need to address and how should an enterprise take the first step to mature their risk management program? Instead of chasing after every new security threat and neglect the basics, how can we get on track with a roadmap of fundamentals and guidance to measure and improve? Which defensive steps have the greatest value? Top security experts pooled their widespread first-hand knowledge from protecting against actual cyber-attacks to evolve the consensus list of Controls, representing the best defensive techniques to prevent or track them. This ensures that the CIS Controls are the most effective set of technical measures available to detect, prevent, respond, and mitigate damage from the most common to the most advanced of those attacks. All security issues start with a change or a need for a change. For this reason alone, your organization must continuously monitor for changes to maintain a secure and compliant network. Historically this has been one of the biggest challenges for IT teams; that’s until the development of NNT’s Closed-Loop Intelligent Change Control technology. 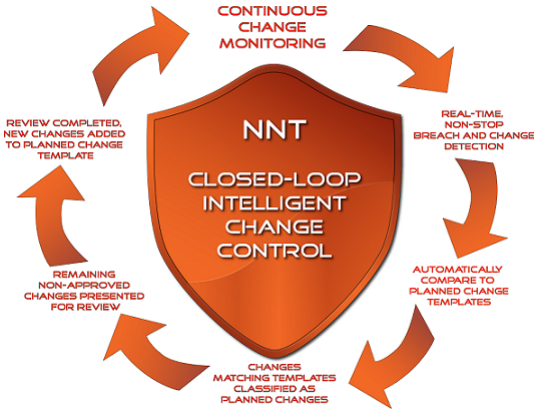 By applying NNT’s state of the art Closed-Loop Intelligent Change Control technology, you significantly improve your organization's ability to spot suspicious activity by leveraging self-learning whitelisting techniques combined with threat and vulnerability intelligence to immediately highlight any change that could represent a threat.